Michael is living in Germany during World War II. Although he is Irish, he is a member of the Hitler Youth because his parents are ambassadors to the country and Michael needs to look like he is sympathetic to the Nazis. Plus, his position in the Hitler Youth gives him an opportunity to learn secret information that is helpful to the Allies since Michael and his parents are spies. 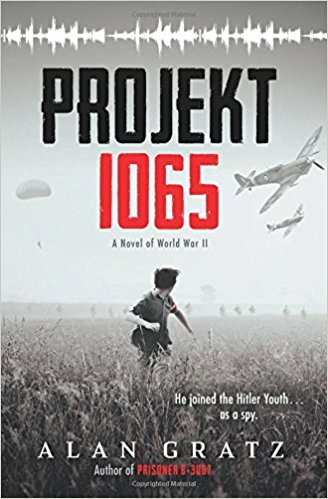 One of the things Michael learns about is Projekt 1065, a secret project to develop the first jet engine. If the Germans can make the engine work their planes will dominate the skies and give them the advantage to win the war. Michael uses his photographic memory to copy the plans and pass the information on to the Allies but his mission is further complicated when he helps rescue an injured soldier.